It was a great WC. Sad that it's over. I very wait the Croatia - England match, but I think so, that England is lucky in status, because of croats twice 120 minutes and penaltys them this many enregys. Deserved is Croatia victory. No question!! It was a great match. The best eight and pairings. To be continued July 6. 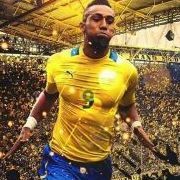 Deserve England, but me man of the match the columbians Mina. The english goalkeepers always lowpoint they were in select the latter in years. example--> Seaman blama by Ronaldinho in 2002 WC.. In the last years not determinate goalkepers the of english, who worldclass, as example Buffon, Cassillas.. One may Pickford key, the future?? Or he also burn out?? 🤔🤔 Thinking you??? They compensate the teams the group round few goals. Me like this is WC!!! Full surprise!!! !